His fund, The Richard Hay Barkalow Charitable Seminary Fund, now delivers Dr. Barkalow’s vision to sustain the future work of the church. He created a donor-advised Field of Interest Fund to ensure the sustainability of church communities. 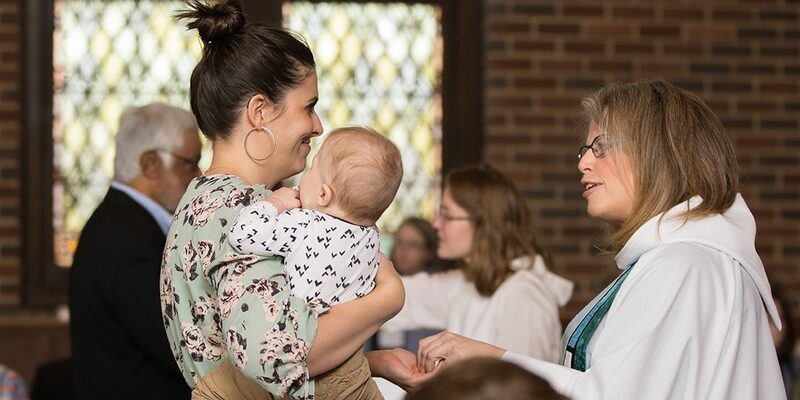 Thanks to his generosity, combined with the research and connections made by InFaith staff, there’s now a collaborative program among Lutheran seminaries to attract future candidates for church leadership. Pastors are retiring in record numbers—this fund addresses the issue with creativity and purpose. As of 2017, only one in seven pastors was under the age of 40. * This decreased enrollment in seminaries means churches will struggle to fill the number of open calls in this time of rapid change in the church and world. Seminary school presidents nationwide have identified recruitment of future leaders and enrollment as critical—not solely for the wellbeing of schools, but for future leadership of the church. Only 35% of church assignments will be filled due to lack of enrolled students. InFaith staff provides grantmaking expertise and a sense of possibilities to all donors. Through Dr. Barkalow’s vision and InFaith’s delivery, seminaries have a program that sustains their ministries. And the welcoming church community that Dr. Barkalow valued will be in place for generations to come. Photo credit to Wartburg Theological Seminary, Dubuque, Iowa.